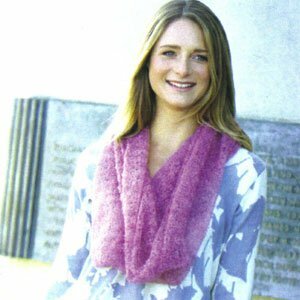 "Bouncy and beautiful Extra Fine Mohair makes this simple cowl super special." The pattern is Fine + Light. Finished Size: 25 x 26 in. Color Shown is Heather We used Fuchsia.